Rayhannah in western Anbar province was captured by Iraqi forces a day after they launched a military offensive against the IS. The key area of Rayhannah in the Western Al Anbar province has been captured by Iraqi forces, a day after they launched a military offensive in the Islamic State (IS) held areas. The government forces with Popular Mobilisation Units (PMU) stormed into the last bastion of IS and carried out a series of attacks backed by US-led coalition’s multiple airstrikes to flush the militants out. The Rayhannah town alongwith Annah, Qaim and Rawa in western Anbar were seized by the IS in 2014. Rayhannah, rich in minerals and natural gas, is located on strategic Deir -Zor- Baghdad highway and the offensive has been carried out eyeing Annah town – also on the highway - as well. As the Iraqi troops and PMUs advance towards Deir -Zor, following Rayhannah and Annah the advance is likely to lead them towards the areas of Rawa and Qaim neighbouring Al Bukamal across the Syrian border. 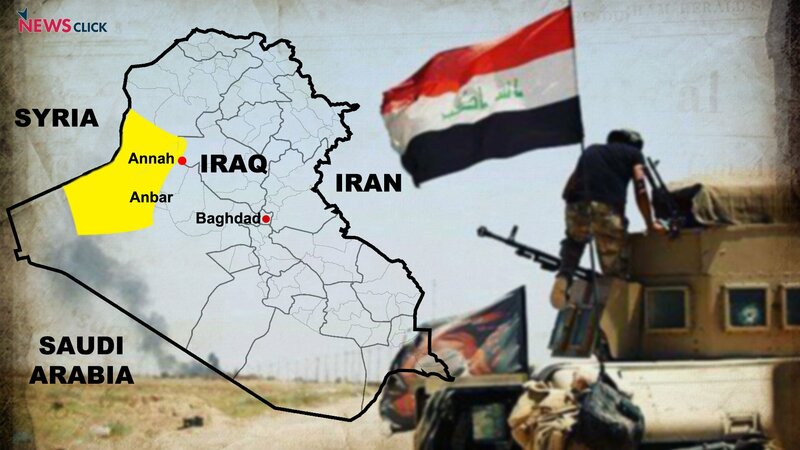 Iraqi Prime Minister Haider Al Abadi had earlier announced a military operation to capture the remaining areas held by IS in western Anbar after a successful operation in Tal Afar last month end. According to Iraqi military’s media cell, more than twenty IS militants were also killed amid attacks carried out targeting IS holding in Rayhannah as well as the town of Akashat, which borders Jordan and Syria. The recapture of Akashat has put Iraqi forces at an advantage to secure the highway near Anah and Rayhannah and consolidate its position in the strategic route to Deir -Zor, where IS faces a multi-front offensive from Syrian forces and Syrian Democratic Forces (SDF) to the west and the east of Euphrates valley respectively. Abadi’s announcement of the operation also comes amid rising tensions in the country ahead of the proposed Kurdish referendum. The Iraqi authorities have opposed the referendum, termed it unconstitutional. The proposed referendum has also struck apprehensions with regional and international players with Syria, Turkey, Iran and the US expressing concerns that it can divide the country and cause regional instability.